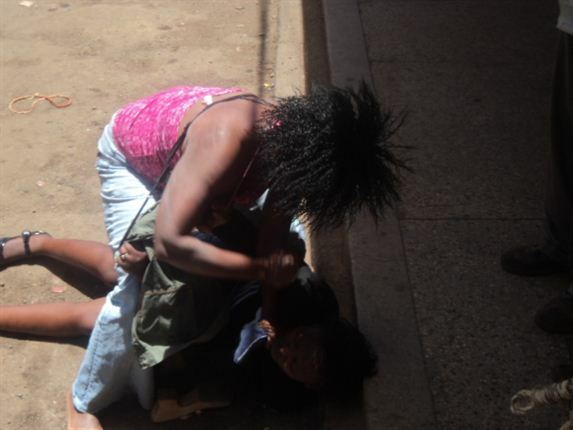 A 24 year old prostitute from Kisii town is going to face the judge after she assaulted her colleague over territory issues. Irene Gesare who operates from a spot behind the Tuskys Supermarket in Kisii town arrive at her work place on Saturday night and found another lady at her ‘work station’ entertaining two of her customers. The angry Gesare immediately started beating her up the other lady in front of her customers. Speaking to the journalists, a colleague of Gesare said that she was aggravated because the other lady received money from clients and yet she had not paid to use the spot. She attacked her with blows and sharp nails and inflicted serious wounds on her back, thighs and face. The Kisii town OCS said that the matter was reported on Sunday morning in the police station. Gesare was arrested and she is waiting to be taken before the judge when the investigations are completed.